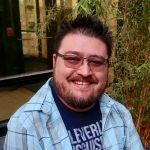 Dr. Brittan Barker is the director of the Aural Rehabilitation Lab at Utah State University. She holds a Ph.D. in Speech & Hearing Science and an M.S. in Cognitive Psychology from the University of Iowa. 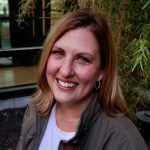 She loves learning, teaching, and talking about cognitive science…especially when it’s focused on human listening. Despite growing up in south Louisiana, since joining the faculty at USU she developed a deep love for the mountain west. So, when she’s not in the lab, you can find her out on one of the many trails in the Wasatch Valley with her family and dog. Caitlyn Ritter completed her undergraduate studies at James Madison University in Virginia. She is currently working on earning her Au.D. at Utah State University, with an emphasis in Listening and Spoken Language. 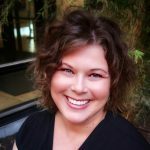 Her research focuses on the experiences of adults with hearing loss who are prescribed hearing aids, but choose not to use them. She ultimately plans to become a clinical audiologist, working in a multidisciplinary setting. 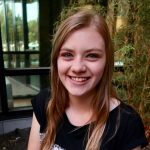 Caitlyn enjoys hiking in her free time and although she was sad to say goodbye to her favorite hikes in the Appalachians, she loves exploring all the trails that Utah has to offer. 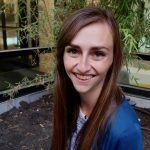 Megan Ririe is first-year graduate student in the Speech-Language Pathology graduate program at Utah State University. Megan is pursuing her graduate degree with an emphasis in Listening and Spoken Language (LSL). She eventually wants to work in a setting where she can be a part of a transdisciplinary aural rehabilitation team and help children with hearing loss. Megan loves learning and passionately pursues her education. When she is not doing homework, working in the clinic, or engaged in the lab, Megan loves to spend her time outside, with her friends and family, or with a good book. Nicole Trusty is from Peachtree City, Georgia and is currently a senior at Utah State University. She is majoring in Communicative Disorders and Deaf Education and minoring in Family and Human Development. 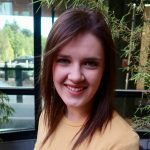 Following her bachelor’s degree, she plans to pursue a masters degree in Speech-Language Pathology, focusing on supporting people with autism. Her ultimate goal is to work in a pediatric clinic. In her spare time, Nicole enjoys playing sports, exploring the outdoors, and being with friends and family. Camilla Cox is from Ankeny, Iowa and she is currently serving a mission for The Church of Jesus Christ of Latter-Day Saints. 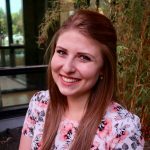 Upon returning to Utah State University, Camilla will complete her undergraduate degree in Communicative Disorders and Deaf Education. She plans to pursue a graduate degree in speech-language pathology and is excited to work with the pediatric population. When she finds time for herself, she enjoys reading and embarking on small adventures. Since moving to Utah, she has picked up snowboarding and hiking. Kylie Madsen completed her undergraduate degree from the University of Utah. She is currently a first-year Au.D. student at Utah State University. Her main research focuses on adult hearing aid users and managing expectations. When she is not in the Aural Rehabilitation lab, she can be found in our sister lab, Dr. Sarah Leopold’s Speech and Auditory Perception lab. 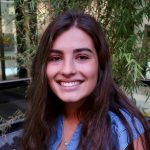 Kylie is fascinated with her studies and would ultimately like to work with cochlear implant users or in intraoperative monitoring. When she is not studying, she enjoys camping, reading, and baking. 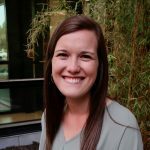 Shannon Edelman completed bachelor’s degrees from Brigham Young University and Utah State University; she is currently a first-year Audiology Doctoral student here at USU. In between classes, Shannon is a mom of four and loves spending time with her family. When she is not at school, she and her family enjoy traveling and experiencing new adventures together. 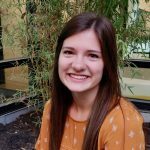 Amanda Miller is completing her last year as an undergraduate student at Utah State University. She is majoring in Communicative Disorders and Deaf Education, and minoring in English and American Sign Language. After completing her undergraduate degree, she aims to pursue a clinical Doctorate in Audiology and specializing in pediatric cochlear implantation. Amanda loves working with people and solving puzzles. In her spare time she loves to dance, travel, or do anything outside. 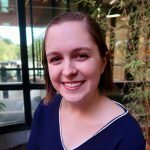 Katherine Van Wagoner is in the second year of her undergraduate degree in Communicative Disorders and Deaf Education. She is working as an Undergraduate Research Fellow in the Aural Rehabilitation Lab and is a member of the USU Honors Program. 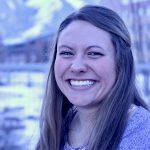 Upon graduation from Utah State University, she plans to pursue a masters degree in Speech-Language Pathology. She plans to work as a Speech Language Pathologist in an educational setting. Katherine currently works for USU teaching a Celtic Dance class. In her spare time, she loves Irish dancing, reading, playing games, and spending time with her friends and family. Emma Brown is from Geneva, Illinois and is currently a Sophomore at Utah State University. For her bachelors degree, she is studying Communicative Disorders and Deaf Education, and will pursue her masters degree in Speech-Language Pathology. She loves working with children and spends the majority of her free time working in a daycare, babysitting, and volunteering at Sound Beginnings–an early-education program for children with hearing loss. She enjoys anything outdoors and is eager to learn anything and everything related to Communicative Disorders and Deaf Education. Jared Drollette is currently a senior at Utah State University studying Communicative Disorders and Deaf Education and American Sign Language. He would like to pursue a doctoral degree in Audiology.